Description : Gauntlets are for wimps, find some meat! Rev this baby up and shred whatever gets too close. Great for when you're out of ammo, and even greater if the other guy is. 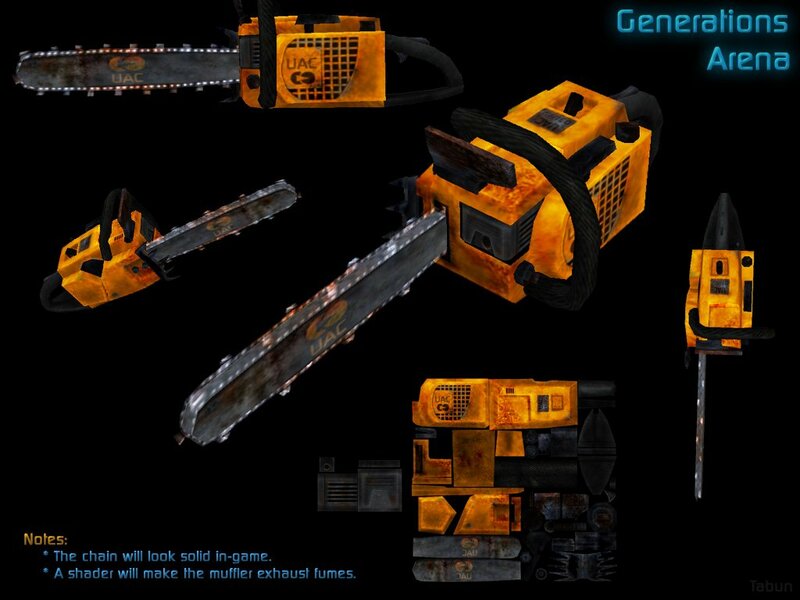 Originally built for construction by the UAC, soldiers learned the potential of the these metal-cutting chainsaws for massive carnage in melee combat. The blade grabs opponents and pulls them into the deadly teeth, making it hard to get away once the saw makes contact. The sound of a fully-revved Chainsaw has struck terror into many a gladiator. Special Features: Spawn weapon, "grabs" other players.